I don't know about you, but spring can't get here fast enough! Until it arrives, I guess I'll just have to stamp it in the mean time! 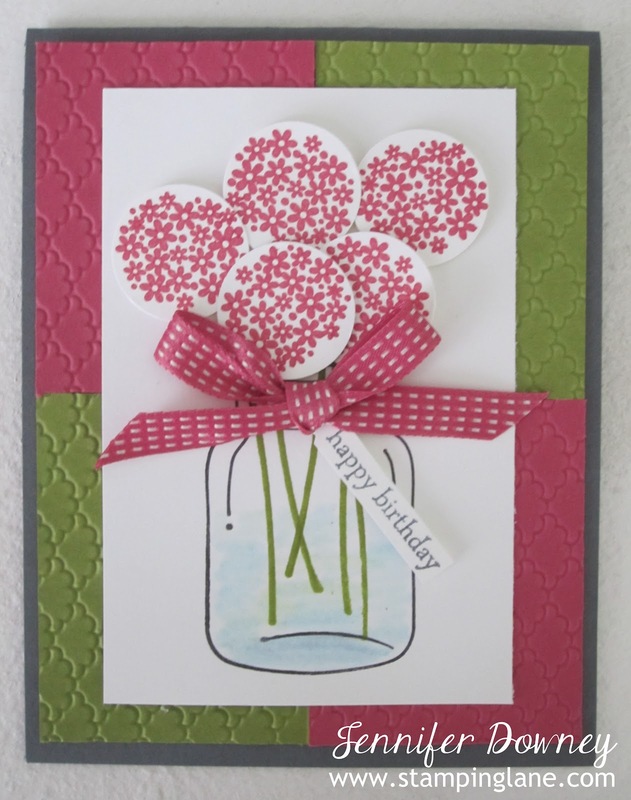 I had fun using the Perfectly Preserved stamp set to make this bouquet of flowers. I actually stamped the flowers and punched each bunch out using the circle punch. Instead of having one solid color background I chose two, put them in the embossing folder then checkered them. I think it added some unexpected pizazz to the card. I also tried out a new color combination: Primrose Petals, Old Olive, Whisper White and Basic Gray. Love it! Happy Stamping!